After the digital release of the Genderland single in June, the new 6-track EP by DRIFT. is out 8 September. Musically, the new songs complement each other. Throbbing beats are punctuated with melodies, vocals floating in layers, their dreamy veil disguising a strong message. Strong and anything but stable. 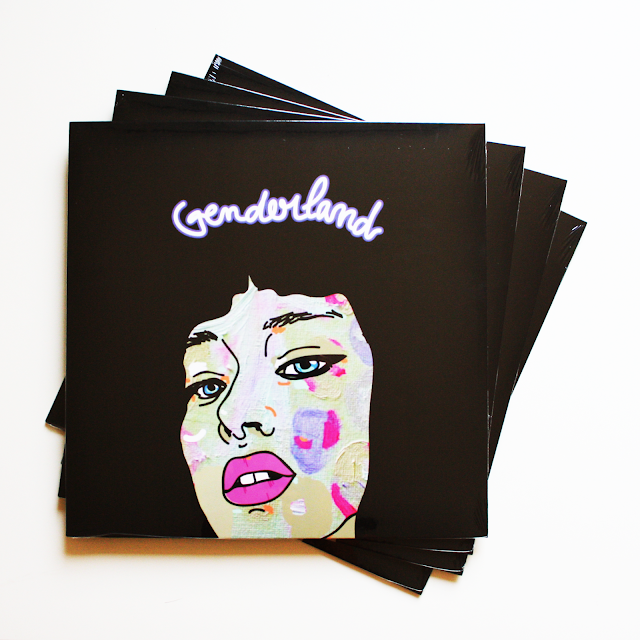 Lead song Genderland with its rumbling bass, syncopated electro-reggae rhythm and dub effects, it’s Ace of Bass filtered through Darkwave. Paradise throbs and clanks and drones and pulses with expectation, celestial multitracked vocals. Lines, by contrast, is a bubbling and burbling, bass-driven affair, complete with a melodic nod to West End Girls. Social Front marries its message of female empowerment to bouncy electropop, influenced by post-punk performance artist and No Wave singer Lizzy Mercier Descloux. Calculations draws the EP to a close in a fittingly anthemic manner. If first EP Black Devotion was all about searching for a sound, her new recording signals a shift, a drift towards self-determination, a PVC-clad step into the murky mixed-message waters of 21st century gender politics.